Hearing the word Purim immediately awakens images of costumes, masks, and makeup. While this is a time where we celebrate dressing up it is also an opportune time to reflect on the masks we wear daily. 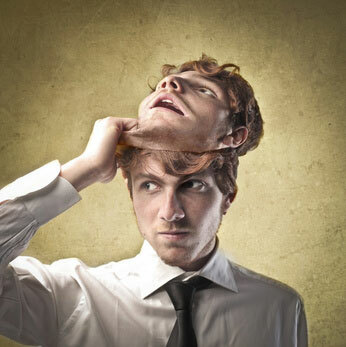 Carl Jung, the founding father of the persona psychology theory, named social desirable behaviors, personas or masks. Masks are the cover for our true self or to manage our innate impulsive behaviors. Our mask consists of the clothing we wear, the language we speak, the topics we discuss, the tone of our voice, and the makeup we wear. We have many masks and we become quite adept at calling on different masks for different situations. You might wear a serious mask while at work and a fun mask with friends. Think about how your clothing changes per situation, how you filter the topics you discuss, how the tone of your voice changes. Masks are also used when we need to restrict an impulsive reaction. For example, you might want to show your temperamental-self when someone crosses you, in its stead you pull out your socially appropriate mask and speak calmly. Masks are important because they ensure we are acting appropriately and according to the environment we are in. While masks are important they can also hinder us. There are times when we are so busy masking that we forget who our true self is. Masks can interfere with our relationships because they create barriers between two people. In order to connect to others we need to be able to show our authentic self. At the same time, masks protect us from rejection. One of our motivations to wear masks is because of an implicit fear that if we remove our mask we will be rejected. Even more so, if we are rejected while wearing a mask, then we were not rejected, our mask was rejected. Hence, masks can often feel like the safer option. Masks are essential for a productive functioning society. There is no need to crusade for mask removal, but it is important to know our masks. Know which masks you wear and why you are wearing it. Are you wearing the timid mask because it is socially appropriate or are you wearing it because you are too afraid that your confident-self will be rejected? Keep tabs on situations where you are only wearing masks and your authentic self never shows. There are some environments where you may find yourself feeling overwhelmed because you are spending so much energy masking your true self. What are the benefits of these masks and are the masks helping you in anyway? Wearing a friendly mask when out with others while your true self is feeling bored is probably a good idea. But, wearing a super-mom mask while feeling drained stops you from being able to share your true experiences with others. Thereby, causing you to lose out on emotional support you would benefit from. Ask yourself how you feel while wearing a specific mask. Some masks feel good, some do not, which are you wearing? You might enjoy wearing the mask of an intellectual with you colleagues but would prefer to enjoy your superficial-self while with friends but you find that there is no space for your true self. Feeling forced into a mask is constraining and will only hamper your personal growth. So, tick… tock… it is time to remove our masks.